are easy to care for. This season there are many great low maintenance styles to try. We’ve narrowed down the list to 4 amazing styles that will work for almost everyone. This cut is a timeless classic that is always in style. It is also one of the easiest to care for. 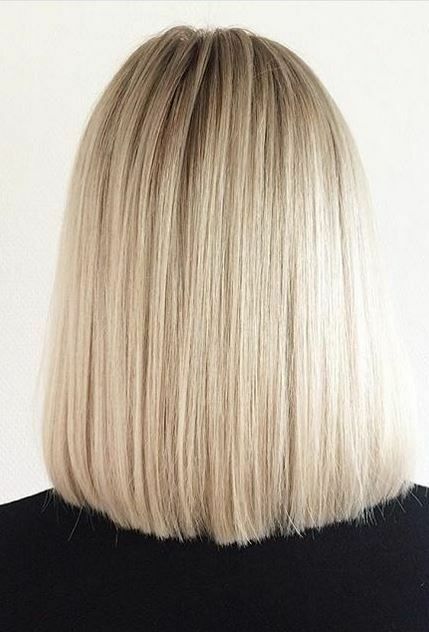 The sleek blunt cut bob goes great with just about any color choice, and takes less time to manage in the morning. The one length cut inspires embarrassing fine hair, and opting for easy maintenance. One length makes hair look fuller at the ends which is key for those with fine hair to give the illusion of fullness. One length cuts can vary, so it is optional at what the desired length is, just get a blunt cut at the ends. This hairstyle can be played with a little. If you have wavy hair you can just air dry and let it fall naturally. The key to this style is the cut. A face frame with minimal layers makes upkeep a breeze. The style also plays well with almost any color choice and hair texture type. This is a very easy style, and perfect for fine or thinning hair. It requires little maintenance and can accent color choices beautifully. There aren’t too many lawyers with the mid-length layers, just enough to add dimension.